Honey Pear Muffins! 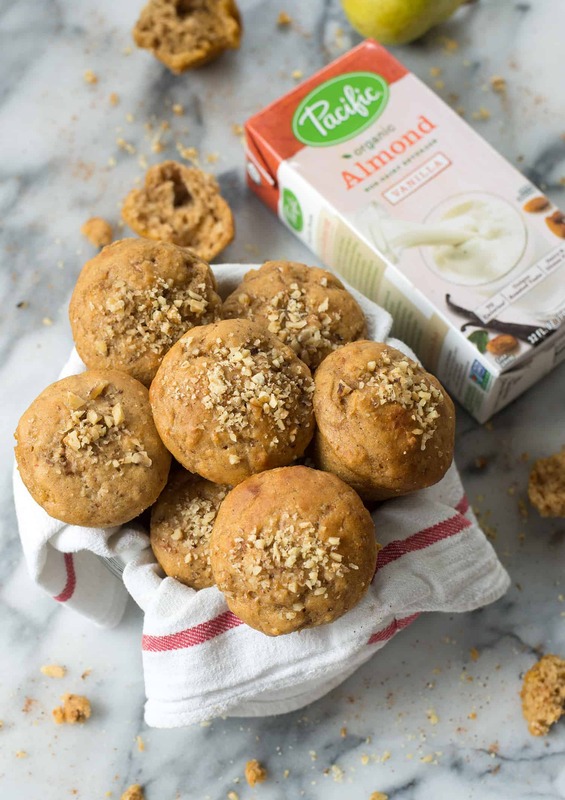 These lightly sweetened muffins are perfect for snack or breakfast. This post is sponsored by Pacific Foods. As always, I only partner with brands that I personally use and enjoy. Thanks for supporting the brands that make DK possible. I’ve got muffins on the brain. After making my pumpkin muffins last week, I was itching to come up with a new, fall-inspired flavor. Maybe it’s all the cinnamon dust I leave in my wake, but I’ve been baking more in September than I have in the previous few months combined. 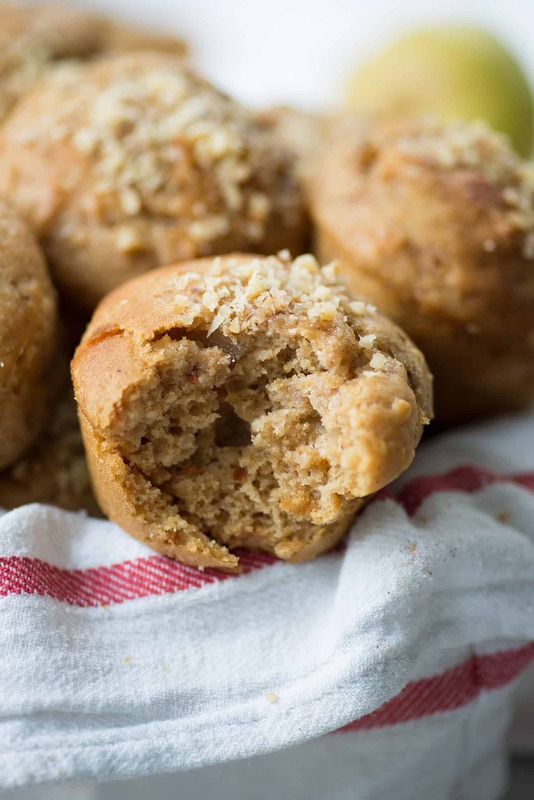 These pear muffins are so delicious, I’ve been eating them non-stop. After a few rounds to get them just right, I tested them again just to be sure. Or, so I tell myself. It’s a good problem to have when your kitchen is overflowing with freshly baked muffins. A dozen for me, a dozen for the neighbors. Lightly sweetened and bursting with pear flavor, put these on your must-make for fall. Since I work from home, my food intake is much more sporadic than it used to be when I was working in an office. Sometimes I eat three square meals and a few snacks, other days I tend to graze without ever sitting down for an actual meal. Being in control of when and where I eat allows me to really tap into my intuitive eater with very few exceptions, which I’m fortunate to have the flexibility to do. However, on crazy busy days, it’s not uncommon for me to head straight to my computer and blow past hunger signs, continuing to work on a project until I’m so famished I can’t think anymore. The exact opposite of an intuitive eater. For days like these, I like having ready-to-go snacks and meals at the ready. To appeal to the side of my brain that doesn’t want to stop and take a break and the other side, who dreams about food all day long. Is this what winning feels like? I know I’m not alone in this struggle; I hear from clients that the hardest meals for them to enjoy tend to be the ones they eat at work. They drink only coffee for breakfast, or are too busy to make time, or they scarf down whatever is readily available. Yes, I remember this feeling well. 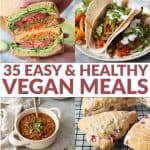 My office meals would sometimes consist of whatever food samples were sent in that day, a spoonful of peanut butter, or a package of almonds I had thankfully stashed in my purse. There’s a better way! Making time for meals is so, so important, even if you can’t imagine giving up 10 minutes to eat. Or, especially if you can’t imagine giving up 10 minutes to eat. (I’m looking at you breakfast in the car, lunch at your desk or dinner in front of the TV). Eating without distractions helps with pacing, allows you to better understand your fullness cues, and improves satisfaction of the meal. How often do we scarf food at our desk only to be “starving” an hour later? Sure, we ate, but it really wasn’t a break. Take the time for yourself. Being prepared for these meals is tip #2. If your office breakfast or lunch tends to consist of donuts in the breakroom or pretzels from the vending machine (I’ve done both), then a bit of planning ahead will help. Of course, these muffins top the list. A bite here, another one there, the perfect fuel for busy Monday mornings. Make a batch to take to work with you and you’ll be the office hero. 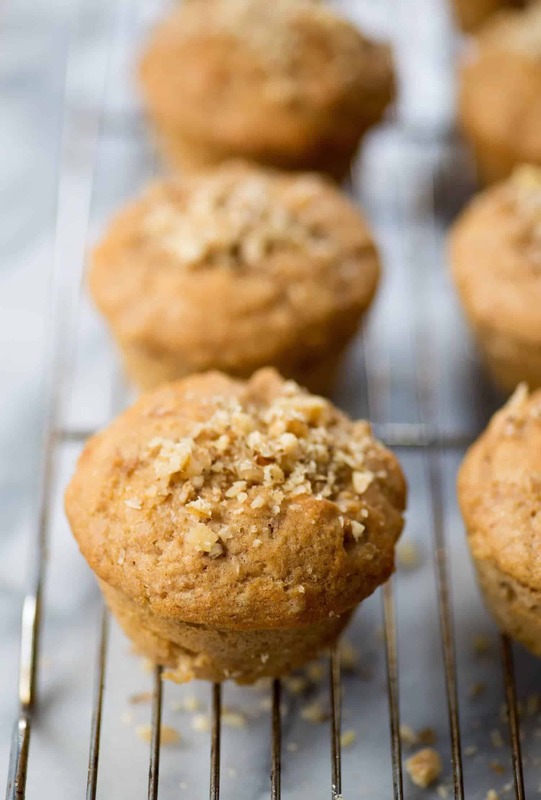 Who needs a stale, grocery-store donut when you’re bringing in homemade honey-pear muffins!? I’ve partnered with Pacific Foods for their #deskfast challenge, challenging you to upgrade your desk breakfast (deskfest). When I heard about this promotion, I was all in. 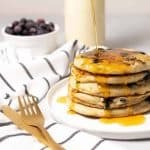 A chance for me to share one of my favorite breakfast options and encourage others to take time to eat it? Both hands up. You can enter to with the #Deskfest sweepstakes by commenting on the post here. Honey Pear Muffins! 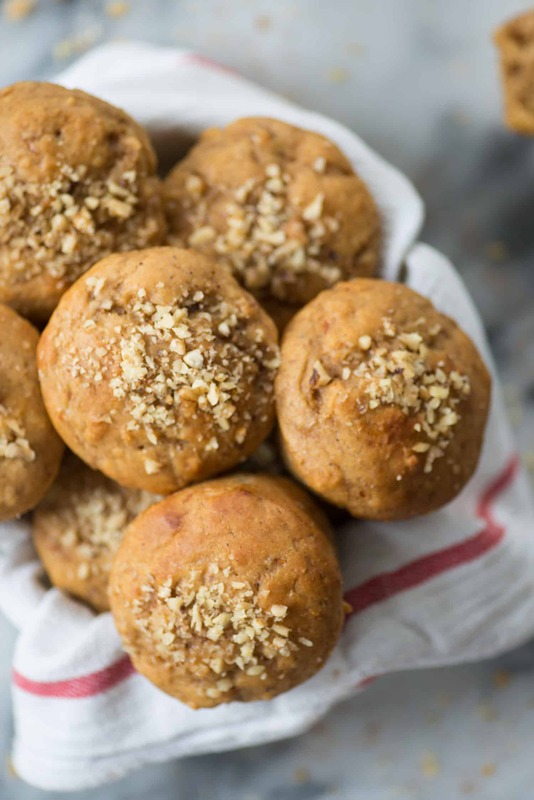 These lightly sweetened muffins are perfect for breakfast or snack. Preheat oven to 350 degrees F. Line a muffin tin with paper cups or spray with cooking spray. Set aside. In a large bowl, whisk together the flour, baking soda, cinnamon, nutmeg and salt until combined. In a separate mixing bowl, stir together the shredded pear, chopped pear, walnuts, eggs, vanilla extract, honey, oil, almond milk and greek yogurt until smooth. Add the pear mixture to the flour mixture and stir to combine. Try not to overmix the batter; stir until just combined. Bake for 15-17 minutes, or until toothpick inserted comes out clean and tops are golden brown. Remove from oven and let cool completely on a cooling rack. 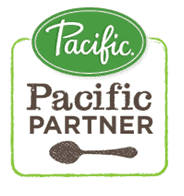 Don’t forget to share your #deskfast options with Pacific foods for a chance to win a cool prize pack! These look incredible! 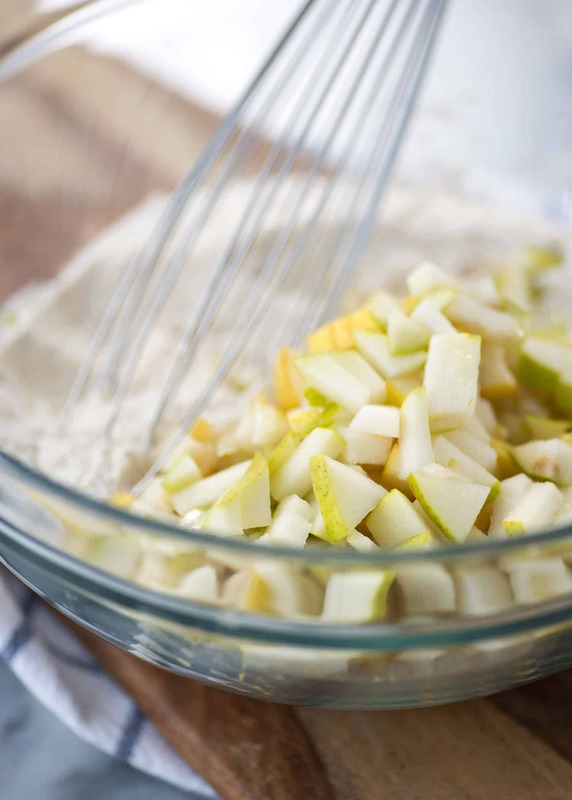 I haven’t used pears to make muffins before… what a delicious and beautiful recipe! Going to make these muffins! These are awesome Alex! This recipe looks delicious. We have an abundance of small pears that I need to process within a day or two. Could you please advise as to whether or not the pears require peeling for this recipe? Hi Suzanne- I didn’t peel the pears! Mostly because I was lazy 🙂 But, you are welcome to if you’d like.